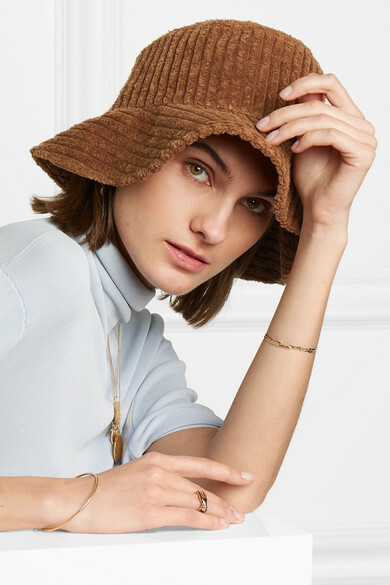 Corduroy is a huge trend this season and it doesn't stop at pants or blazers - Albus Lumen's models strutted down the Resort '19 runway wearing bucket hats in the fabric. 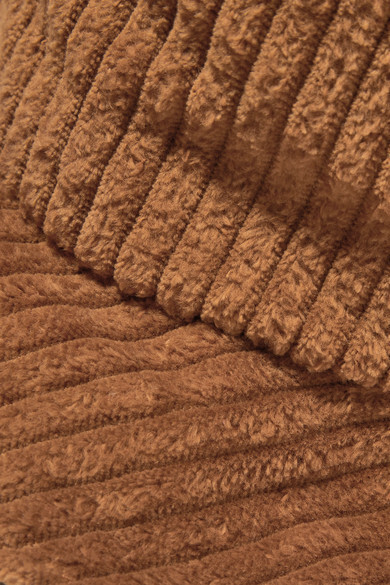 This 'Isa' design is made from breathable brown cotton and has a soft satin lining. Take cues from the show by styling yours with brushed-up brows, lots of highlighter and glossy peach lips. Shown here with: Khaite Sweater, Alighieri Necklace, Alighieri Bracelet, Alighieri Necklace, Maria Black Bracelet, Alighieri Necklace, Paola Vilas Ring, Isabel Marant Earrings.